Why Does My Gas Stove Leave Black Marks on My Pots? Cooking at home can create large messes, both on your oven and your pots and pans. Because it uses flames, a gas stove sometimes scorches the pots and pans used for cooking. Maintaining your stove can help you prevent these unsightly marks, and if you do get them, extra cleaning should remove the marks. 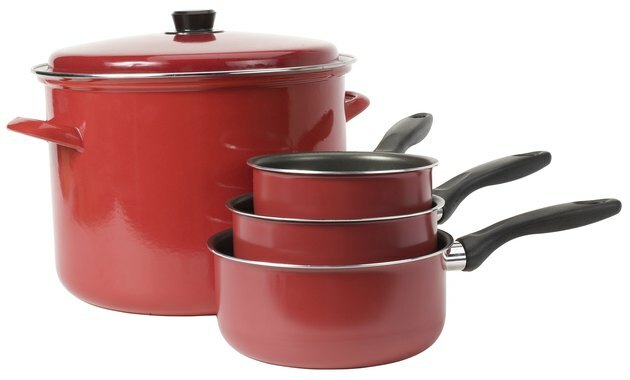 Gas stoves can leave unsightly marks on colored cookware. A gas stove might turn your pots black if it is not heating evenly or if the heat is turned up too high. If the flame is not heating evenly, you will notice that the flame is blue on the outside with a yellow core. If you see yellow, your air to flame ratio needs to be adjusted. Adjust your air intake valve until you see only blue in the flame. That should fix the problem. Keep the heat as low as you can to complete your cooking job. If you can, cook foods longer on a lower setting to avoid black marks. See that the flame does not touch the bottom of the pan at all. An alternative to traditional pots and pans is cast iron. These pans are already black, so if they do get some marks, they will not show anyway. Cast-iron lasts longer than other pans and doesn't require a lot of cleaning and maintenance. After a gentle scrubbing with water and soap, you can rub grease in the cast iron pan to help it last longer. Even if you try to prevent black marks on your pans, you might still get the occasional one or two. If you are using cast iron or other black pans, these marks shouldn't be a problem; however, some pans and pots come in designer colors and are made to match other kitchen appliances and decorations. Keep these clean by scouring them with oven cleaner if they get black marks. You can also boil a large pot of soapy water, place the marked pot in the larger pot and boil it for a few minutes. A dirty stoves ends up making your pans dirty. The oily material on the burners turns to smoke when the heat is on, and the smoke leaves sooty deposits on the pans. 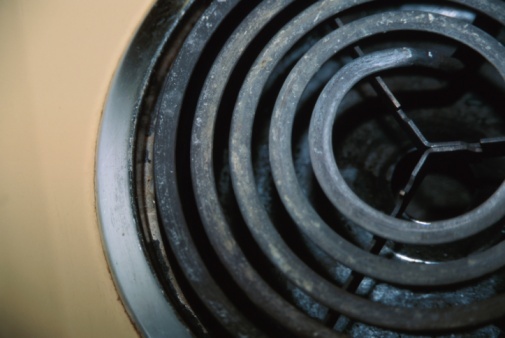 To prevent this, clean your gas stove regularly, especially after a spill. To do this, turn all burners off, and remove the grates. Use a damp sponge or cloth and warm soapy water to clean the surfaces. A spray glass cleaner can get rid of caked-on areas. You can use an abrasive cleaner, but watch that it does not scratch the surface. Don't use a soap-filled scouring pad.